From 7 pm to 8.15 pm. Relaxation and meditation, self-massage, energy exercises. 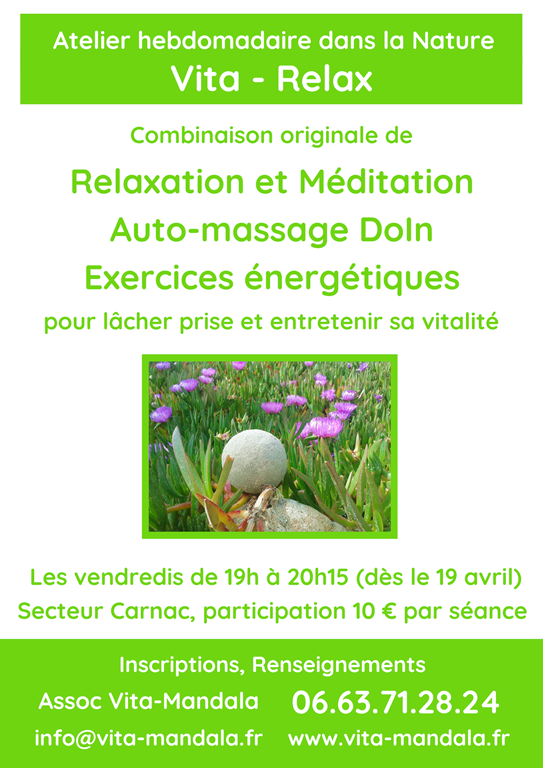 €10 on booking Vita Mandala 06 63 71 28 24.